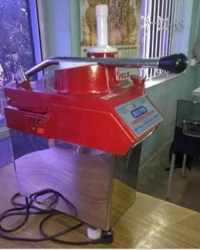 Prominent & Leading Exporter from Coimbatore, we offer potato peeler, vegetable cutter, onion cutting machine, high output vegetable cutter, garlic peeler and coconut scrapper. Backed by sound infrastructure, we are able to provide patrons with superior quality Potato Peeler as per the given specifications. Aiming at highest degree of client-satisfaction, we have been been involved ion manufacturing, supplying and exporting of a commendable array of Vegitable Cutter. It is installed in numerous industries for grinding hard, medium or soft material. With its excellent crushing efficiency, this product is demanded in various markets. 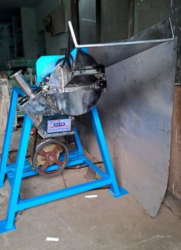 Aiming at highest degree of client-satisfaction, we have been been involved ion manufacturing, supplying and exporting of a commendable array of Onion Cutting Machine. It is installed in numerous industries for grinding hard, medium or soft material. With its excellent crushing efficiency, this product is demanded in various markets. 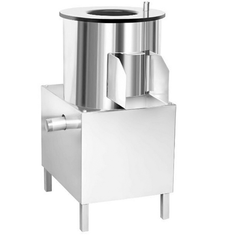 Our clients can avail an extensive array of High Output Vegetable Cutter. This range is made using superior quality spare parts combined with high grade workmanship. Based on latest technology, these products are known for their durability, corrosion resistance and robust construction. Clients can purchase this product from us at industry leading prices. Our clients can avail an extensive array of Vegetable Cutter. This range is made using superior quality spare parts combined with high grade workmanship. Based on latest technology, these products are known for their durability, corrosion resistance and robust construction. Clients can purchase this product from us at industry leading prices. Customers can avail from us quality range of Potato Peeler. Our engineers employ high grade raw material and latest technology to design the products as per the set of industry standards. Durable, longer service life and optimum performance are some of the important features of these products. These are available at market leading rates to our customers. Customers can avail from us quality range of Galic Peeler. Our engineers employ high grade raw material and latest technology to design the products as per the set of industry standards. Durable, longer service life and optimum performance are some of the important features of these products. These are available at market leading rates to our customers. Customers can avail from us quality range of Coconut Scrapper. Our engineers employ high grade raw material and latest technology to design the products as per the set of industry standards. Durable, longer service life and optimum performance are some of the important features of these products. These are available at market leading rates to our customers. We are a notable manufacturer, supplier and exporter of Amla Seed Remover, which is used to remove the seeds from Amla. Amla is an edible fruit that is used for preparing pickles, juices and other products. It also has several medicinal properties and so utilized for manufacturing different kinds of medicines. Due to these factors, the demand for Amla and our Amla Seed Remover is growing tremendously. Our equipment removes all the seeds without losing the nutritional value of Amla. It is made of good quality stainless steel, which deters the blackening of the device. Moreover, it is durable and cost-effective. Made of the advanced technologies and wear resistant raw materials. Customers can avail from us quality range of Amla Juice Making Machine. Our engineers employ high grade raw material and latest technology to design the products as per the set of industry standards. Durable, longer service life and optimum performance are some of the important features of these products. These are available at market leading rates to our customers. 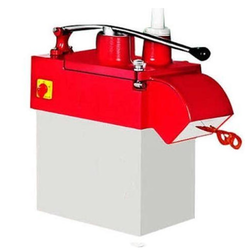 We are one of the leading manufacturers, suppliers and exporters of Juice Making Machine. 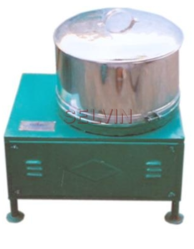 These machines are manufactured with top-grade raw material sourced from the leading vendors. In order to ensure their quality, offered machines are highly demanded in numerous industries. Offered machines are acclaimed by the clients for their excellent functionality, resistance to corrosion, robust construction, prolonged service life and easy operations. Our range includesRibbon 'U' Mixers, Uruli Roaster, Double Cone Blending Machine, Tray Type Dryer, S5 Automatic Roaster, Sautiner, Destoner Machines and Continuous Groundnut Roaster. Looking for Vegitable Cutter ?